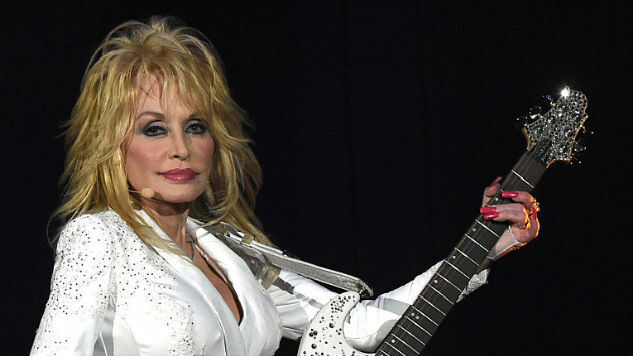 Sanctified country music queen Dolly Parton is teaming up with Netflix for a series based on the singer’s music, the streamer announced Monday. Over the course of her 50-year career, Parton has become one of the most successful country musicians in history. She is the end-all, be-all example of a rags (or, in her case, coat of many colors made of rags) to riches story. One of 12 children raised in poverty in rural Tennessee, Parton now has 110 charted singles, two world records and a college course based on her life. She’s even got a pretty famous sheep named after her, since the cell used to create the clone was taken from a ewe’s mammary gland. On top of all that (and the themepark … and the Oscar nods … and the 47 Grammy nominations), Parton’s getting a Netflix deal, as the streaming service has signed on for an eight-episode anthology series. Each episode will be based on a song by Parton, who will executive produce, contribute music (naturally) and occasionally appear in the show. Parton had a similar arrangement with NBC three years ago, leading to two made-for-TV movies. Actress Lily Tomlin spilled information about Parton’s partnership with Netflix during a For Your Consideration panel for Grace & Frankie yesterday. Tomlin and Grace & Frankie co-star Jane Fonda starred alongside Parton in 9 to 5. When a reporter asked Tomlin if Parton would ever make a guest appearance on the show, Tomlin replied that Parton may be too busy with her own Netflix series to take part, much to Fonda’s (and apparently Netflix’s) surprise. Read our interview with Parton before her last TV special here and check out our take on Parton’s best songs right here. You can also listen to a Parton performance circa 1977 via the Paste player below.